Come in and Learn to Shoot! Iron sights, Scopes, Red Dot. 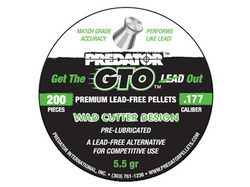 Airguns with Lead-Free Pellets are a clean, quiet, and don't have the recoil of a Firearm. No Licence needed for Airguns. 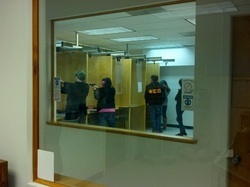 You can practice here if your not legally prohibited from handling a gun. How about casual competition with your friends playing shooting games like Darts , Pool, Sink-the-Ship, Tic-Tac-Toe, Plinking targets....or just hitting a moving target? .177 or .22 cal we have Ammo (Pellets) in-stock and Airguns for you to rent or purchase. We've been approached by a few groups that have shown interest in using Airsoft guns at our location. After some education and research it looks like we can accommodate the Airsoft community for Target Practice Only with some restrictions. Rapid fire may be restricted to scheduled times when precision shooter are not using the range. Range time is $10 per hour - Per shooting stall, additional people can be added at $5 per hour each up to 4 people per lane Maximum. $12 New Shooter package includes: Eyes, Ears, 250 Pellets, Targets, and Tape... add a gun $3 for basic or $30 for competition grade. 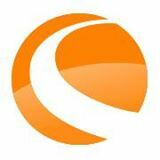 Family yearly membership is $550 for up to 4 people (2 adults max - 3 under 18). $75 for each additional under 18. Last is a good attitude and patience with a willingness to learn. It take time, technique, and concentration to accurately hit targets that are 20-30-50 feet away. Leagues now forming. Adults 18+ Wed Thurs Fri. Under 18 Weekends before Noon. 3 Position precision break-barrel, Dart games with Pistols, Pool - Cricket anyone?